Too Cool T-shirt Quilts® was began by Andrea Funk in 1992 when her sister Karen arrived with a trash bag full of T-shirts. Karen, a triathlete, had too many T-shirts. Every time she raced, she picked up another T-shirt. She told Andrea that she had heard about other people making quilts out of their T-shirts and asked Andrea to make one. At that time Andrea was making traditional quilts and had no idea how to make a T-shirt quilt. 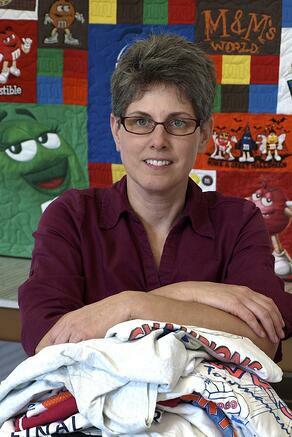 Through experimentation and analysis of the designs on Karen's T-shirts, Andrea created a soft, durable T-shirt quilt with different size block, which led to the unique design of Too Cool T-shirt quilts. Why Too Cool? Too Cool T-shirt Quilts received its name through the many "that's too cool" comments Andrea received from customers throughout the years. Andrea also believes T-shirt quilts are meant to be fun, dynamic and cool, not the average quilt; hence Too Cool T-shirt Quilts' name and unique style. 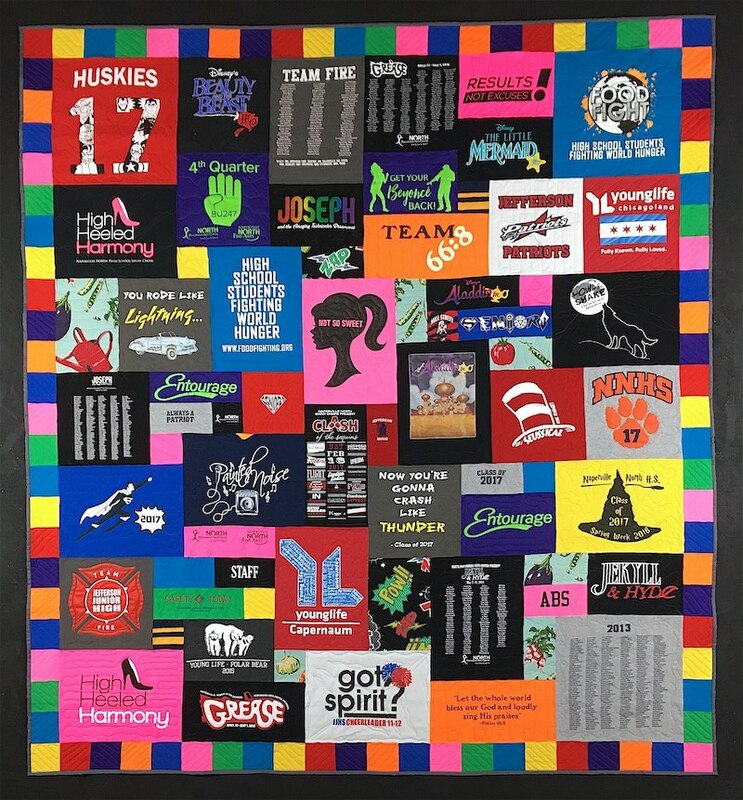 Since 1992, Too Cool T-shirt Quilts continued to grow. As the business grew from Andrea working alone in her basement, to employing her daughter, to the group of talented artists, crafters, and artisans employed today, the business became too large for Andrea's basement. In response, Too Cool T-shirt Quilts, Inc. moved to its current location in Charlotte, Michigan in the fall of 2011. Too Cool T-shirt Quilts®, Inc.
2192 West 5 Point Hwy.